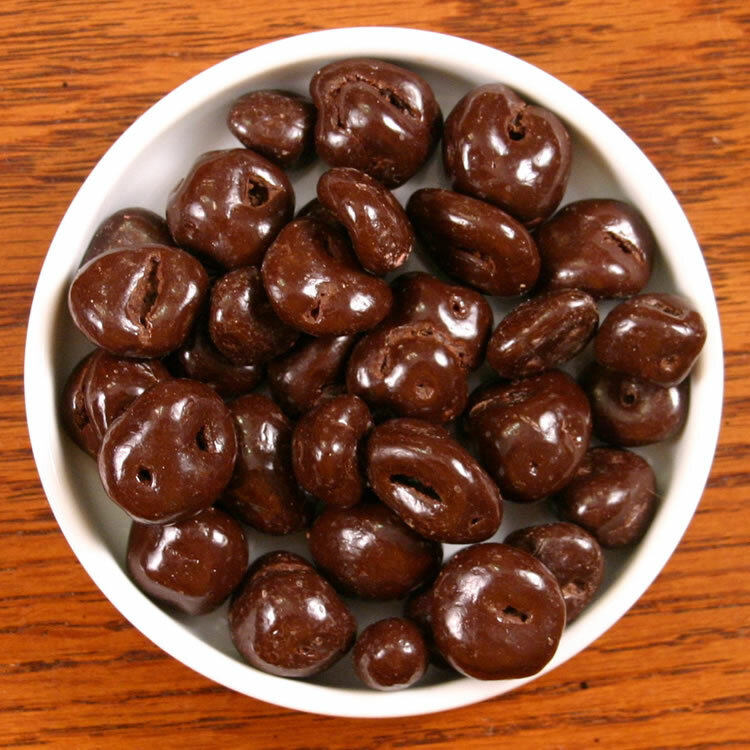 Our great tasting Michigan tart cherries drenched in luscious dark chocolate. These treats are just loaded with antioxidants, both from the cherries and the chocolate. Available in three sizes: 5oz, 1 pound, 4 pounds. Absolutely the best at any price. I've been buying this item for years, and everone who's gotten some from me as a gift clamours for more, or orders some for himself. We ordered the personalized small bags for our daughters wedding welcome gifts, the bags were beautiful and the cherries fresh and luscious. They were a hit. I orderin all sizes them for us and gifts.